1. Decide what you fancy off the menu. 3. 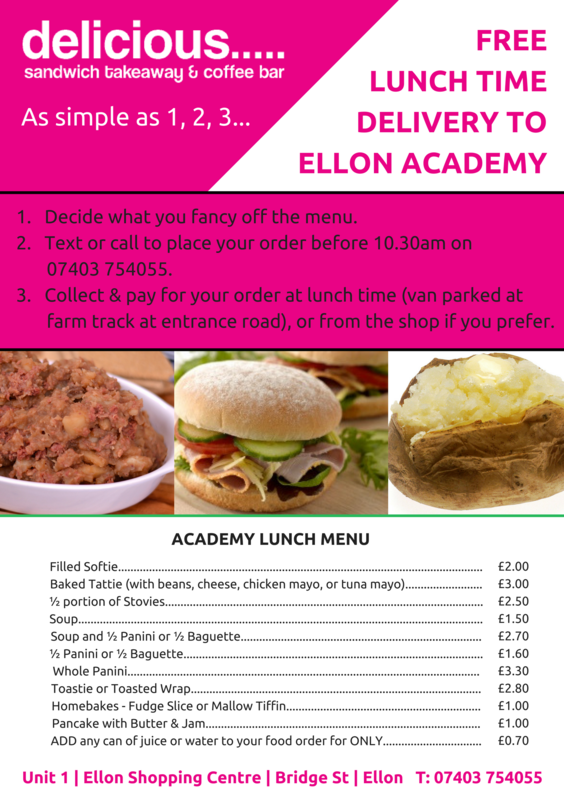 Collect & pay for your order in the Academy car park at lunch time (van parked at farm track at entrance road), or from the shop if you prefer.